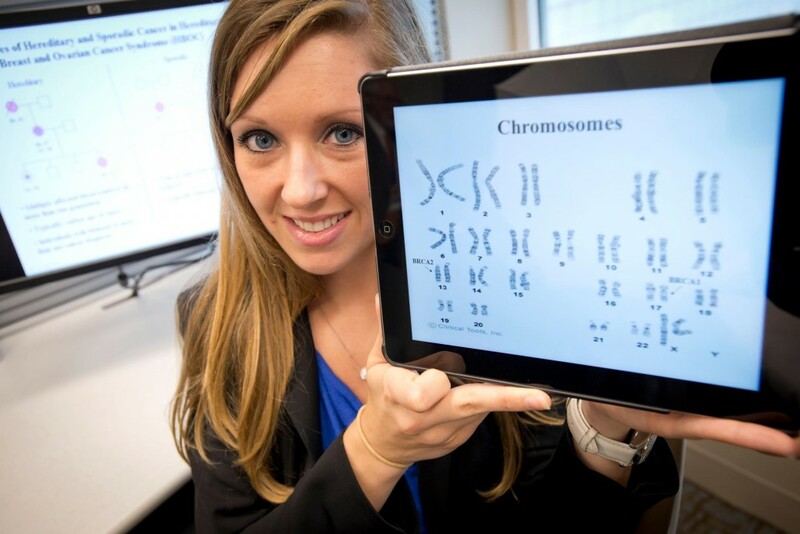 Maegan Roberts, a certified genetic counselor at Mayo Clinic, helps determine if someone should be tested for cancer-causing genes. 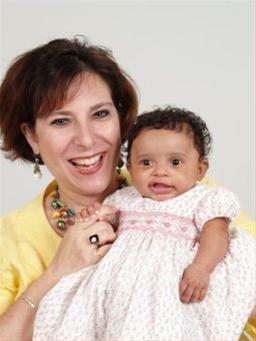 She works closely with the Breast Clinic at Mayo Clinic. So I wonder if anyone else spent part of Tuesday, May 14, 2013, pondering what they would do. Would they take the test to learn if they were at increased risk of breast and ovarian cancer? What if it came back positive? What decision would they make – to keep their breasts and uterus or remove them? I suspect most people haven’t thought about it before. I would venture to guess that despite millions of people affected by breast cancer and ovarian cancer, only a small percentage have ventured down this path. After all, research tells us that only 5 to 10 percent of all breast cancers are as a result of the two known BRCA gene mutations. That being said, as the news of a celebrity (Angelina Jolie, if you hadn’t heard) having a prophylactic double mastectomy traveled the globe, people started talking. As a public affairs representative at Mayo Clinic in Jacksonville, Fla., I spent most of the day yesterday helping field media requests for our physicians and genetic counselor. I even tracked down a patient to share her story about choosing a preventive mastectomy. Before the day’s end, I’d been told the appointment office had already seen an uptick in the number of calls from people seeking appointments for genetic counseling. Personally, as a two-time ovarian cancer survivor, this was not the first time that the issue of genetic testing had come up in my life. Although my paternal grandmother had been diagnosed with cancer, it was not ovarian and it was not breast. I was the first person in my family to have one of these two diseases. That made me the likeliest candidate to undergo testing to determine whether or not I carried the faulty gene. At the time my doctors presented me information about genetic testing, I really didn't see the value. I was not able to have children (I’d had a complete hysterectomy) and I was finished with my treatment. Why was it relevant? Well, I was told, “You have a mother, a sister who has yet to have children, cousins, aunts…” Family members who could still be impacted by cancer. Would they want to know if they were at increased risk? Ok, valid point. I also learned that people who carry the gene have up to an 87 percent lifetime risk of development breast cancer and up to a 54 percent risk of ovarian cancer. But still, the decision to test was not an immediate one. What was I going to do with the information from the test? What would my relatives do? What if the test came back positive? Would I go and cut off my breasts? Would they have a preventative mastectomy or hysterectomy? There is a lot of social and psychological questions at play. I really didn't have an answer. I really didn’t want to think about it. I just wanted to get over my cancer. My response to having the test was no. Fast forward about a year. I became a mother – a dream that I had for a very long time – to a beautiful little girl. And when doctors ask me about her medical history, allergies, etc., I have to answer sometimes “I don’t know. She’s adopted.” Adopting a child meant I didn’t have all the facts. I didn’t have all the information that I might want. Or need. I suddenly realized the value of having more information. I also recognized that my family might appreciate having information that could help them – whether to make decisions or not to worry. When my next check-up came, I asked the question about testing. I met with Dr. Stephanie Hines, an internal medicine physician who is also part of the Breast Clinic. I also met with Maegan Roberts, our genetics counselor. I asked more questions. I understood the risks and options. I agreed to take the test. I did not, however, know for sure what I would do with the results. The decision to proactively remove your breasts is not a simple or immediate one. 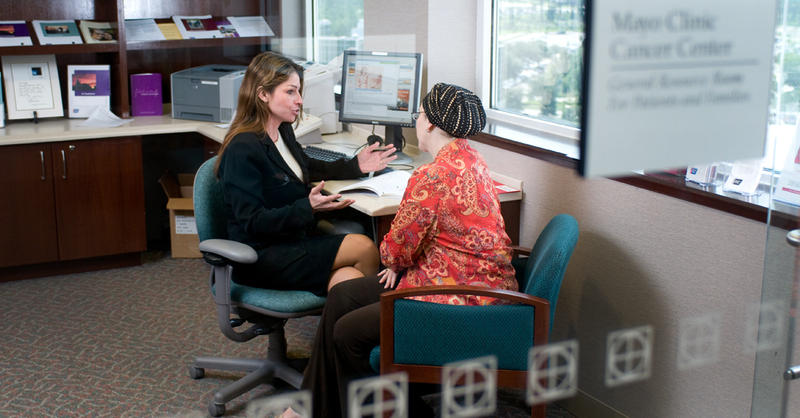 Stephanie L. Hines, M.D., a doctor of internal medicine, consults with a patient at Mayo Clinic. Thankfully, my tests came back negative. I do not carry the genetic mutation. My family can rest a little easier knowing that they do not have an increased risk of breast or ovarian cancer. I didn't have to make the decision. But many women do. Angelina Jolie did. Her mother died at age 56 from ovarian cancer; so did her grandmother. Her mom also battled breast cancer. She had a family to think about, too. In her column, Angelina says she made the decision for the sake of her family. For their peace of mind, for their future health. And yes, her biological children may have to make a decision later in life to be tested and learn their own risk for the mutation, but hopefully they won’t have to. Hopefully, by the time her children are old enough, we’ll have made enough progress that cancer doesn’t exist. I know that the team at Mayo Clinic’s Cancer Center is making strides everyday in research and treatment, bring us closer to that day. In the meantime, I think that we need to remember that cancer is personal. Not everyone agrees with Angelina’s choice to remove her breasts. And I’m sure the world will have things to say if she has a hysterectomy. But it was – and is – her choice. Just because it wasn’t the choice someone else would have made, doesn’t mean it’s wrong. I’m sure we’ll keep reading news about Angelina but I believe we can all take a little inspiration from her. I for one, wish her well in her journey.